JEWISH JOURNEY PROJECT (JJPBT), AKA: "RELIGIOUS SCHOOL"
The Jewish Journey Project Barnert Temple (JJPBT) is NOTHING like "religious school." Two years ago, we identified a unique opportunity to offer an innovative response to the shifting needs of families. Jewish Journey Project Barnert Temple, or JJPBT, makes high quality, engaging Jewish education accessible for all. JJPBT provides rich educational opportunities, within and beyond Barnert’s walls. Each JJPBT participant plans and builds a personalized journey, choosing courses that match his/her passions and curiosities as well as preferred learning style. The JJPBT model is based on flexibility, creativity, and experiential learning. Participants work collaboratively with inspiring educators from diverse professional backgrounds. At JJPBT, we broaden Jewish learning and deepen Jewish living by providing experiences that involve the individual, the family, the synagogue, and the larger Jewish community. For even more information, go the JJPBT website at www.jjpbt.org. Our youngest children meet new friends and get reacquainted with old friends as they explore Jewish holidays, biblical stories, Jewish foods, mitzvot, and beginner Hebrew. They grow comfortable and familiar with Barnert, in all the spaces of their Jewish home. Our 3rd through 6th graders strengthen core Jewish identities by creating strong relationships with friends, teachers and clergy, and by experiencing Judaism through distinct pathways using multiple learning modalities. Options include creating wood design and building items found in Torah, learning about social justice, Jewish holiday cooking, and comparing the story of Creation with the science of the Big Bang. In 7th grade, students strengthen chanting and reading Hebrew, collaborating in class with friends. 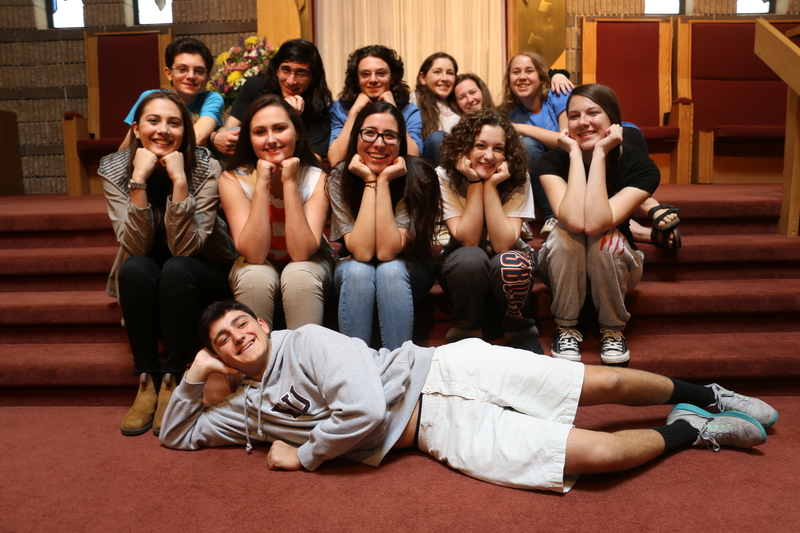 They work on a mandatory part of their experience - a Mitzvah Mission - together. They learn about the Holocaust, hearing stories of survivors, and challenge each other as they explore Jewish teachings on ethics. Preparing to become a bar/bat mitzvah is a milestone for adolescents and their families. It can also be a transformative moment for parents, reinvigorating or redefining their relationship with Judaism. Our clergy and staff are with you every step of the way. Each student preparing to become bar/bat mitzvah receives written tools for navigating the process at each step of their journey. Parents, too, are supported. We will do everything we can to make this a meaningful experience with the least amount of stress on our family! And then, we'll provide lots of hugs and share Mazal Tov on the big day.